If you are searching for a nutritious and filling lunch or dinner recipe, consider making this flavorful spinach pie. Its crust is enriched with sacha inchi powder, which adds lots of protein for maintaining a healthy muscle mass. Eggs also provide a good dose of protein and healthy fats, whereas spinach is packed with nutrients, mainly manganese, potassium, and iron. 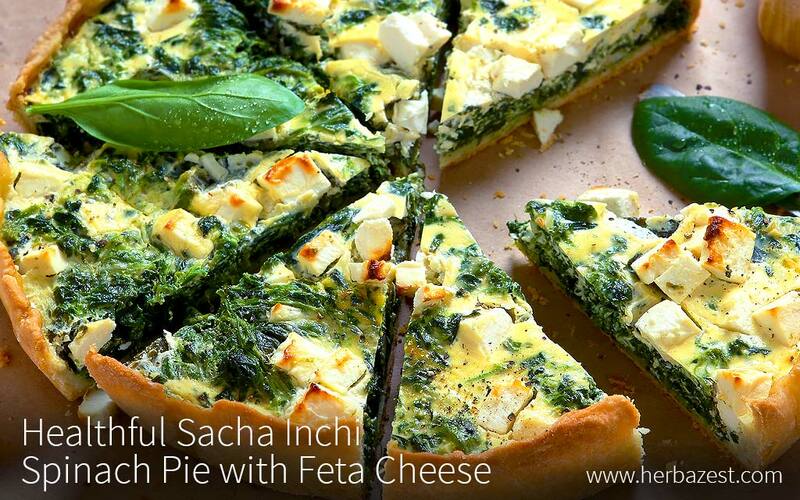 Topping this green pie with feta cheese gives it an pleasant savory kick and extra boost of calcium and probiotics.